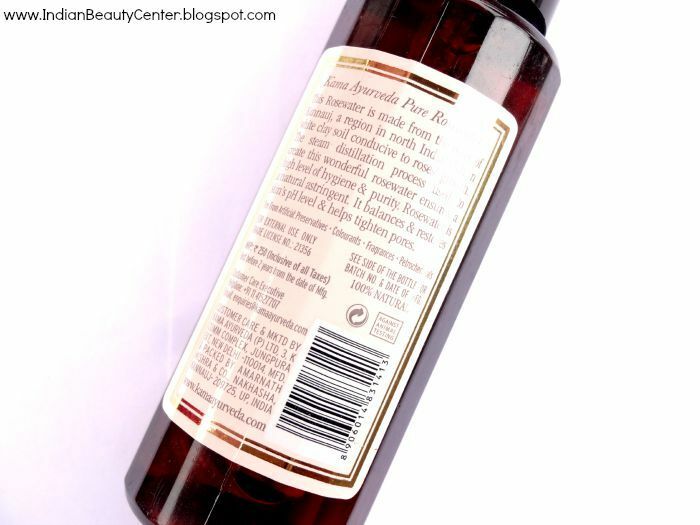 The first full-sized product that I got is the Kama Ayurveda Pure Rose Water. Made using roses from Kannauj this rose water has been receiving rave reviews from all the beauty enthusiasts. I have seen my friends repurchasing this 'n' number of times. Steam distillation process has been used for making this rose water and I am excited to try this as my regular toner. 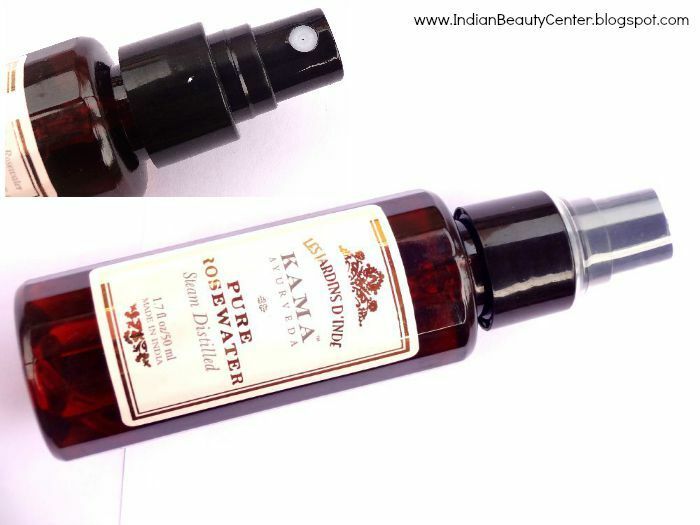 It comes in an attractive spray bottle and provides refreshing effect. Costs Rs. 250 for 50ml bottle. 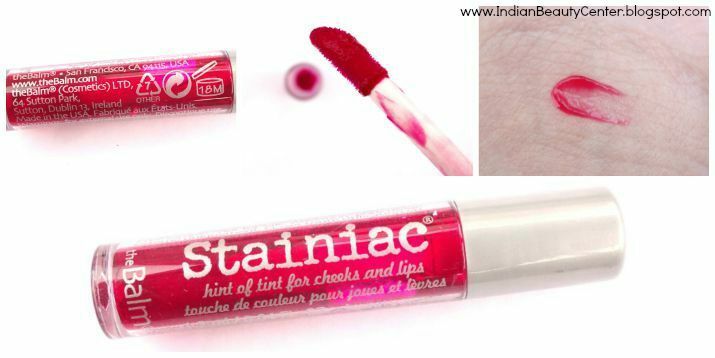 Second product that I found in my glittery fab bag is the theBalm Sainiac Lip and Cheek Stain. I have not used it officially as of yet but it looks promising. 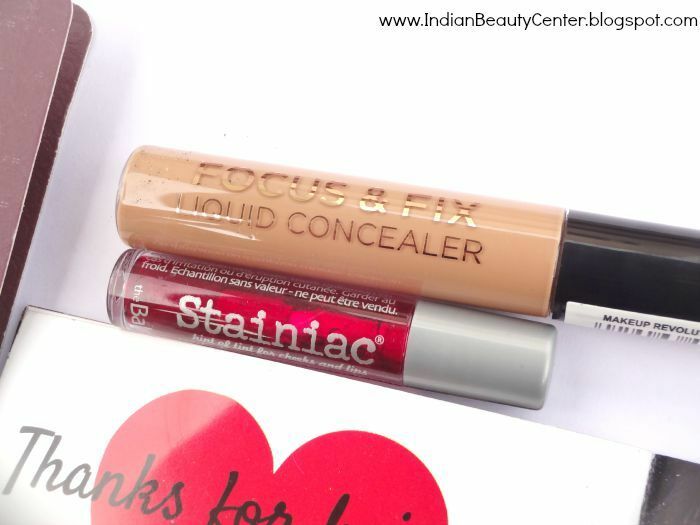 It claims to work with all skin tones and you can even layer the stain to pop the tint and color. 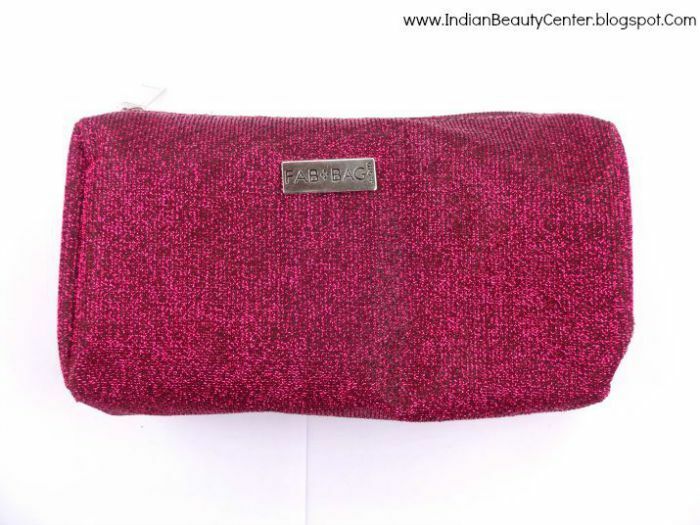 Can be used as a 2-in-1 product, as a cheek stain (blush) and also as a lip tint. I got a 1.2 ml sample in my September fab bag and it costs Rs. 1200 for 8.5 grams of the product. So, the cost of the sample is something around Rs. 169. Priced at Rs. 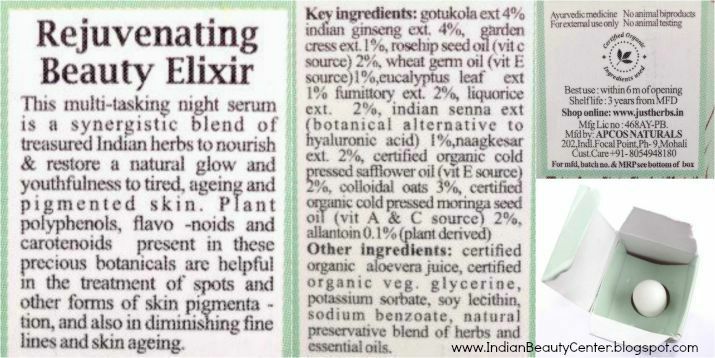 985 for 15ml, the third full-sized product I received in the pouch is the Just Herbs Gotukola Indian Ginseng Rejuvenating Beauty Elixir. 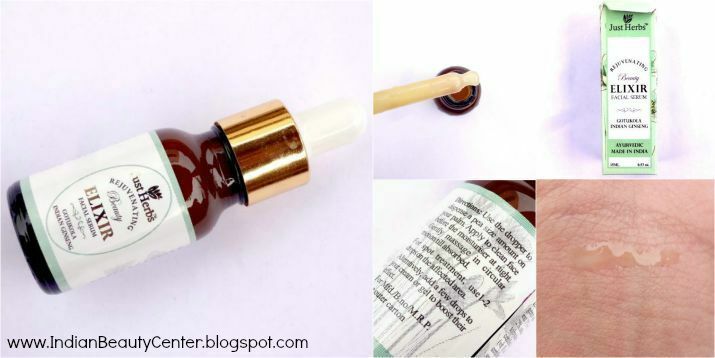 I got a 15ml bottle of this one and it is a skin serum with dropper packaging and claims to restore youthfulness and natural glow to the skin. The packaging is really lovely and I am super excited about this one. Also claims to reduce fine lines and spots. Would definitely review this after using it for an appropriate period of time. 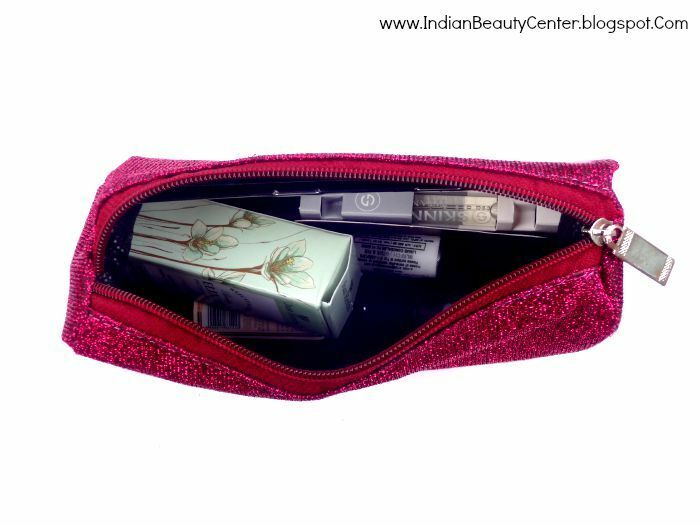 Product in my fabbag costs Rs. 985. 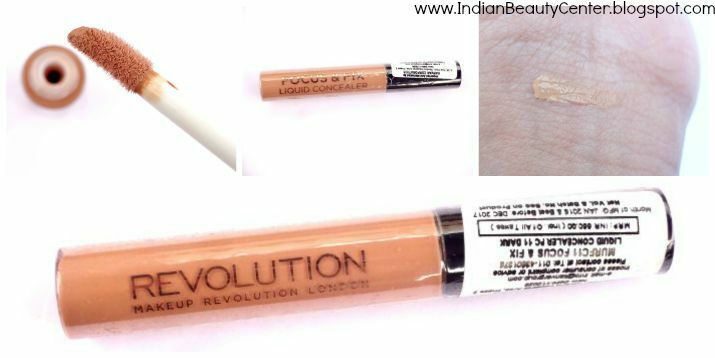 The final full-sized product I am happy to have received is the Makeup Revolution Focus and Fix Liquid Concealer. It costs Rs. 550 for the 1.9 ml quantity provided. It looks great to me and it is available on Flipkart for Rs. 330 including all charges. I received it in the shade FC 11 Dark. Have heard that it has some negative points which I would definitely point out in my review that would be up after I try this. I also got 2 sample sized perfumes. 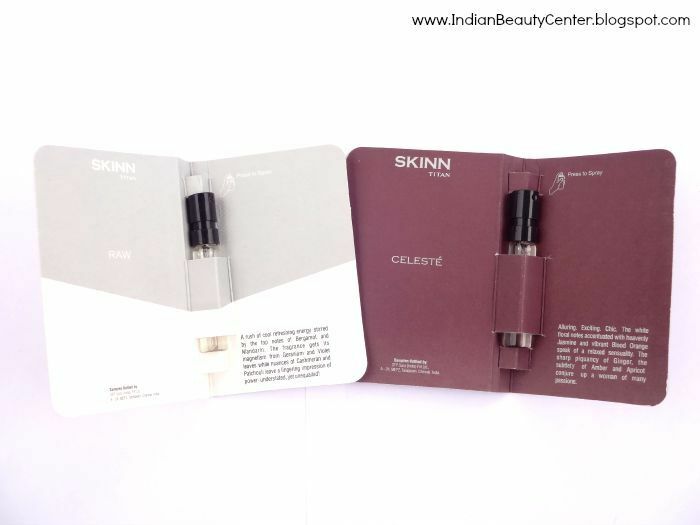 One is the Skinn by Titan Celeste for women and another Skinn by Titan Raw for men. I would definitely be using the celeste and my hubby would use the raw! I received 2 ml samples of each. Full-size would cost Rs. 990 for 50ml so I got the 2 samples of total worth of around Rs. 40. Total cost of products in my fab bag- Rs. 250+550+1231+40+169 = Rs. 2240. 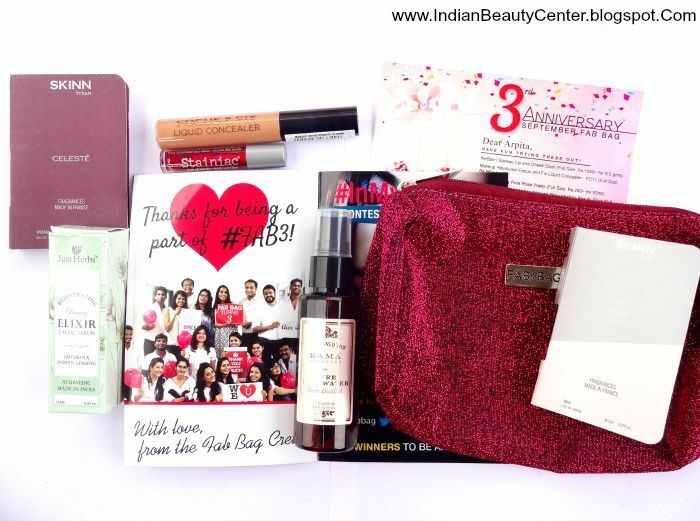 So, this definitely is profitable and the September 2015 Fab Bag is just one of the best fab bags ever! I'm totally waiting for my fab bag to try out that Elixir. Thanks for sharing your review.